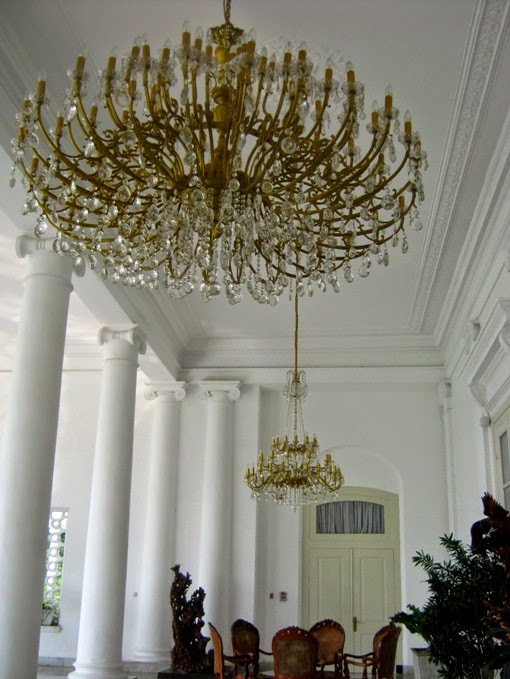 When visiting Bogor Palace last week, I saw many chandeliers inside the palace. I wasn’t allowed to capture photos inside but fortunately there are some chandeliers located in the porch. Each is beauty. These chandeliers look as if they have wings. So beautiful. Yes, I like the design of these beautiful lamps!